IVR recording software is a type of software system that records a conversation between clients and agents with the prompted instruction. These days IVR recording software is used by thousands of call centers across the globe. In this article, we will discuss IVR recording software and the various aspects. Interactive voice response (IVR) software is a software system through which the caller gets the guidelines for performing some basic function according to their question to get the proper solutions. IVR software reacts through pre-recorded sound messages straightforwardly to callers according to their choose action. IVR software understands the caller’s action and transfers the calls to the concern department or agent. It reduces the requirement of agents for the repetitive customer queries. IVR recording software conducts the business communication processes whether it is a customer calling or sales calls. It improves the snappy and proper reactions to the client, this increase the customer satisfaction. There is nothing as IVR recording free. It means there are many IVR service providers who offer IVR recording software on a free trial basis. The businesses can use this free trial services and check out service quality whether it fulfills your business requirements. If you like the trial versions then choose the premium version of IVR call recording software. Sip2Dial is a leading call center software provider who offers complete IVR recording software for call centers as well as small businesses. Sip2Dial’s IVR recording software enhances your business communication. Through Sip2Dial IVR recording software you can easily prompt your customer and route them to the appropriate department to resolve their issues. The biggest benefits of IVR recording software is better customer service. Through Sip2Dial’s IVR recording service you can record and monitor the conversation between your agent and customers. This helps you to figure out the customer’s requirement and the agent’s behavior. This helps you to improve your customer service and satisfaction. Sip2Dial’s IVR recording software helps you to improve the performance of your agent. It records the conversation of agent and customer. It is easy to listen to the conversation and gets the information you missed. It helps you to find out the customer requirement and increase your customer service. It saves your business time and money and ensures professional customer service. 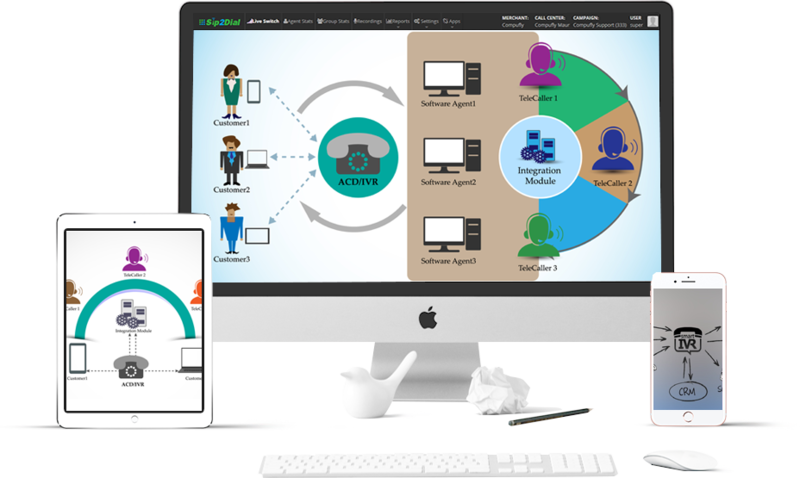 Sip2Dial’s call recording software helps the businesses to train the agents of the call centers. The data/information collected from the recorded calls can be utilized to provide effective preparing to the agents. Managers can use the calls of experienced agents to train the trainees or junior agents for better performance. Managers can choose calls to point out the things that ought not to be done on a call. All the call centers are required to inform the customer beforehand that the call is getting recorded. One advantage of this is that the customers will refrain from using abusive language on the call. So, basically, a call recording system will help to keep the conversations professional. Sip2Dial’s IVR recording software. In this article, we try to give you a brief description of IVR recording software and its benefits. If you find this article informative don’t forget to give your precious comments below.